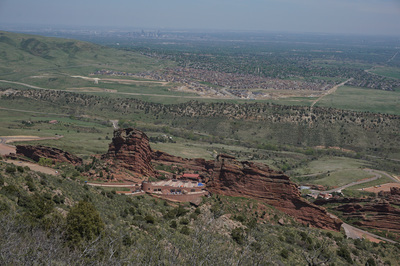 Directions: From Denver take I-70 or Hwy 6 to C470 east (aka south). 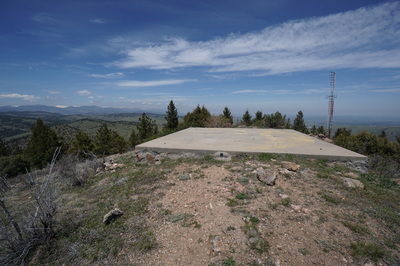 Exit at the Morrison exit and drive through the town of Morrison. 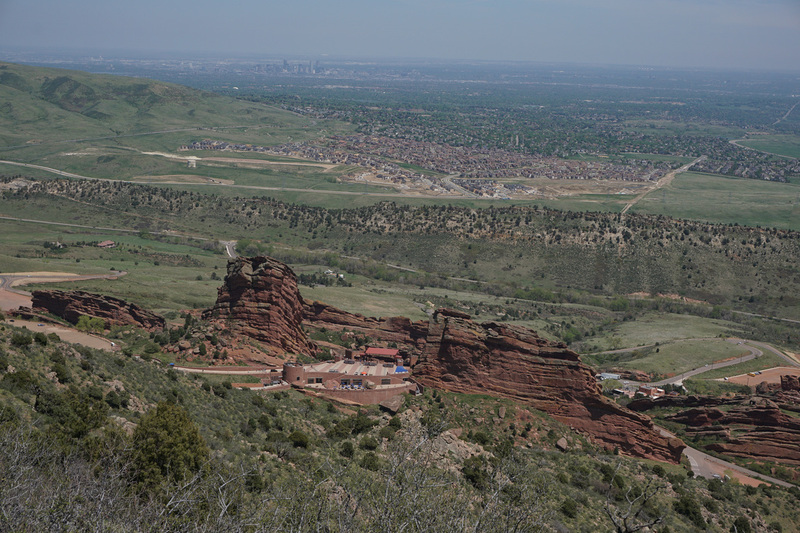 Watch out for the speed trap just west of town and turn right into Red Rocks Entrance #4. 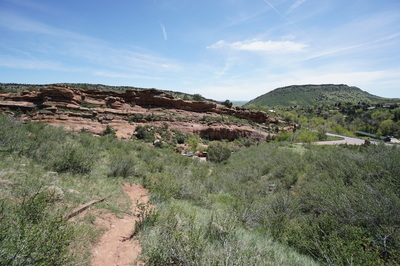 The trailhead is just past the entrance gate on the left, there are a few pullouts for parking on the right. If the gate is closed, you can enter the park elsewhere and drive to this spot. Mt. 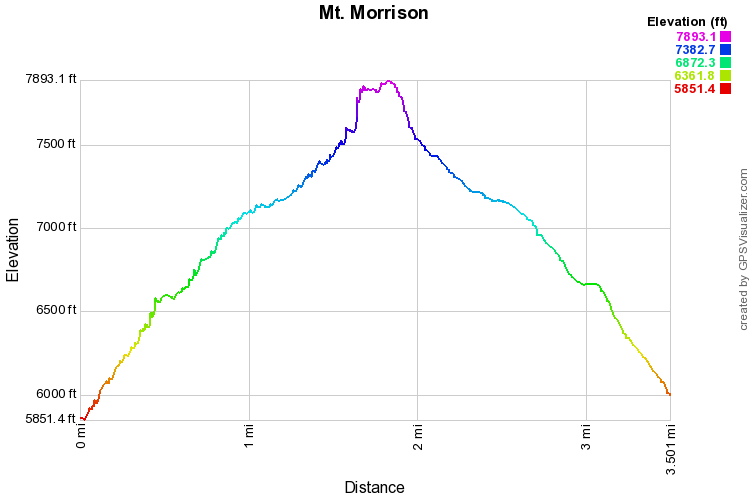 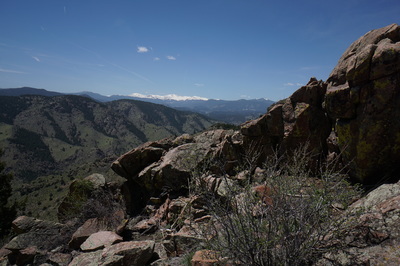 Morrison is the biggest, baddest, rough and tumble, slog of a hike in the Denver Mountain Park system. It also may be the most exciting, most fun, and most scenic trail in the system as well. The hike climbs 2,100ft in roughly 1 3/4 miles. 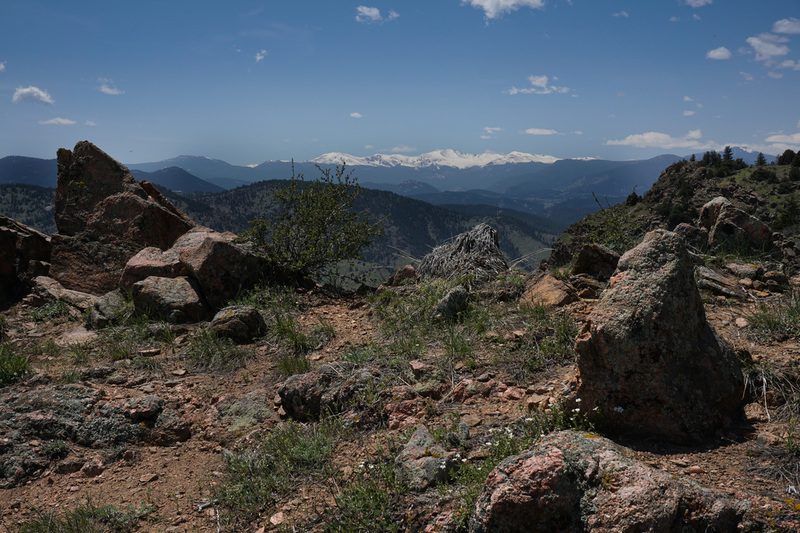 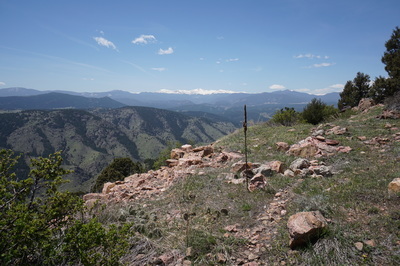 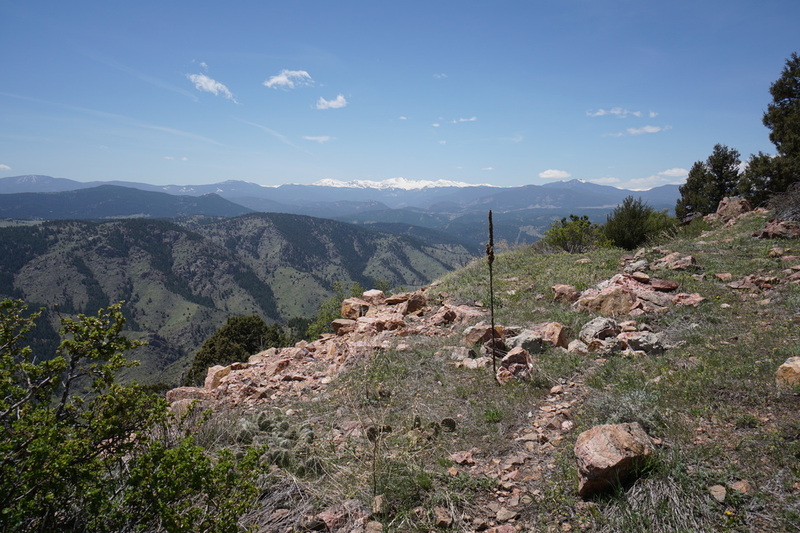 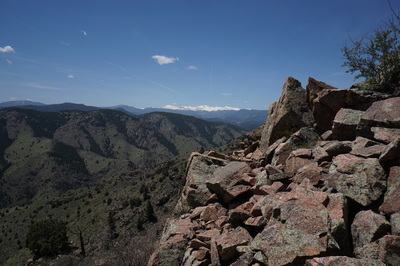 The views from the entire trail are fantastic and from the summit you can see Longs Peak, the Indian Peaks, James Peak, Mt. 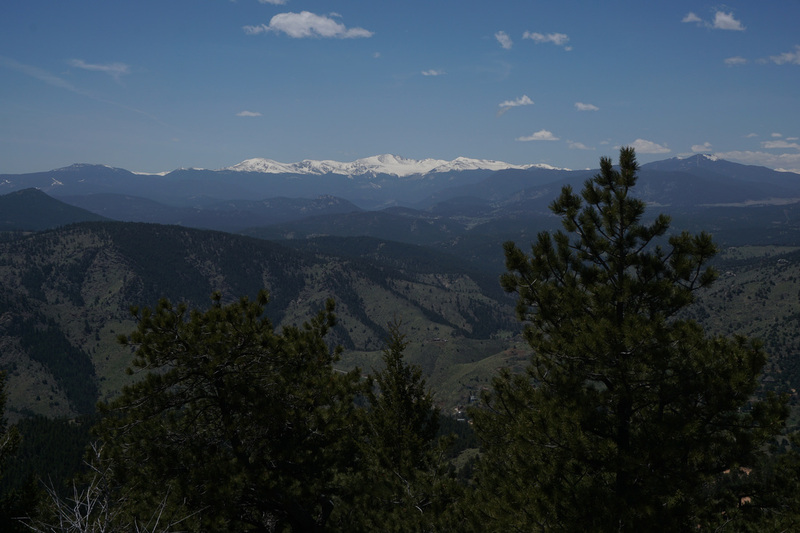 Evans, and Pikes Peak on a clear day. 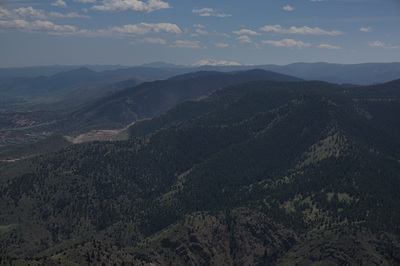 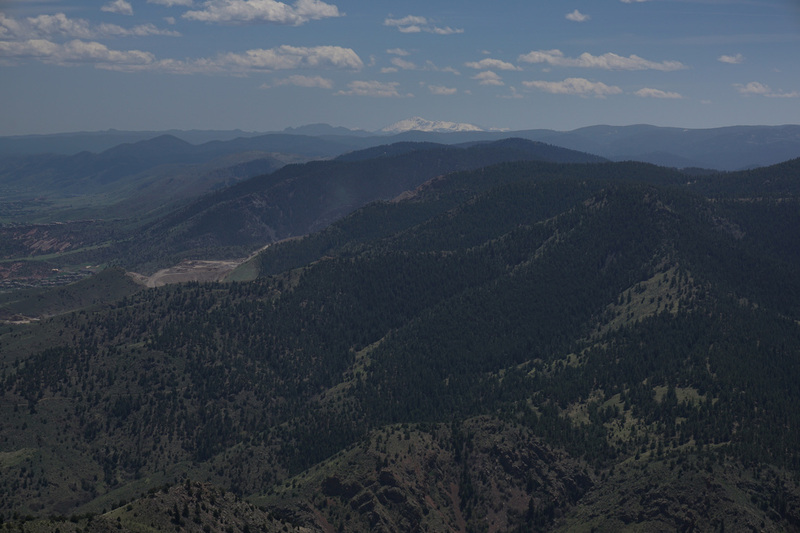 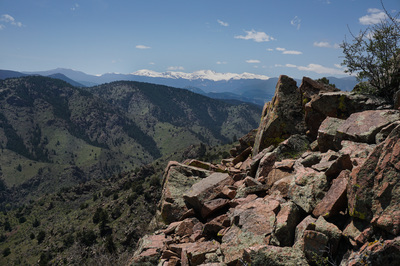 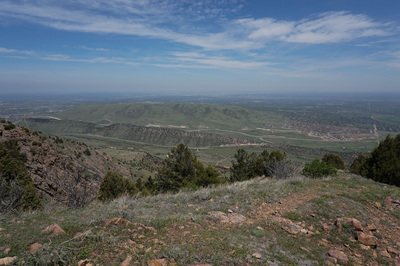 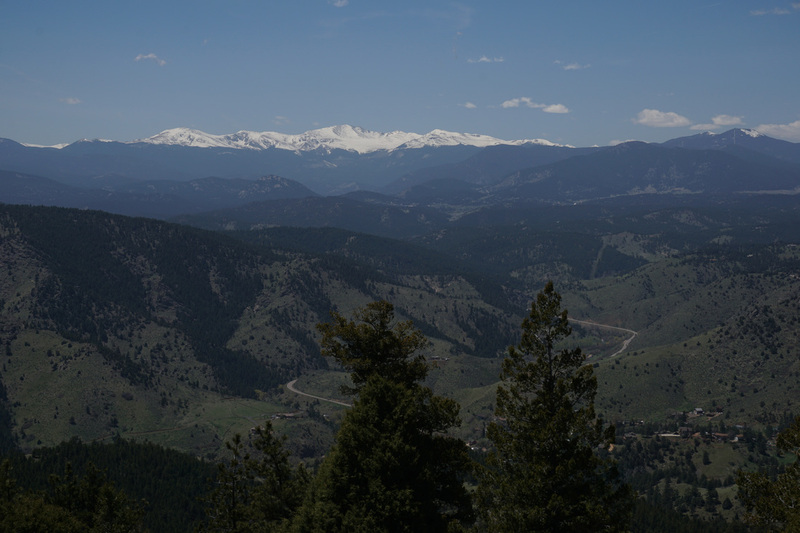 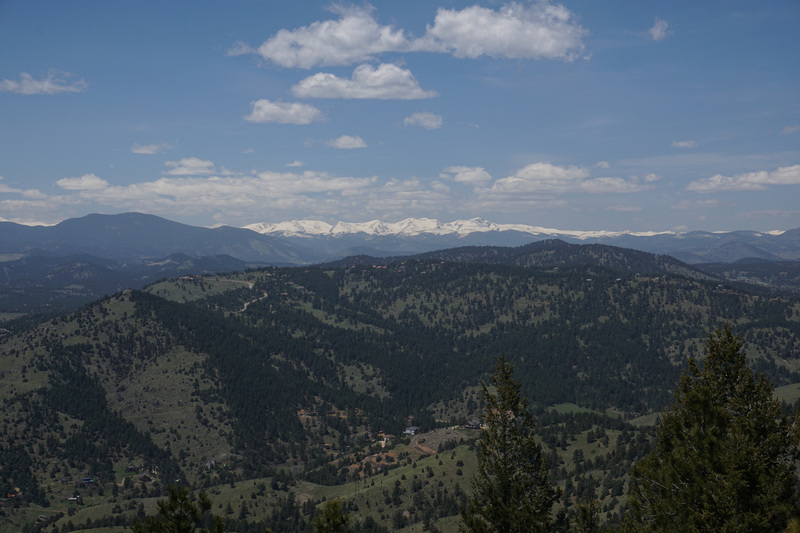 You also get unparalleled views of Front Range icons like Green Mountain, Mt. Falcon, and a view straight down into the Red Rocks Amphitheater. This trail is kind of a worst kept secret. 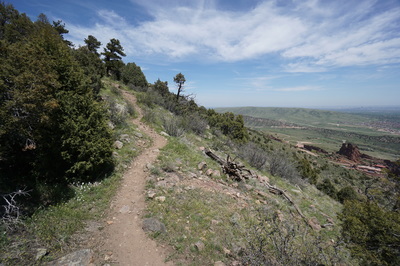 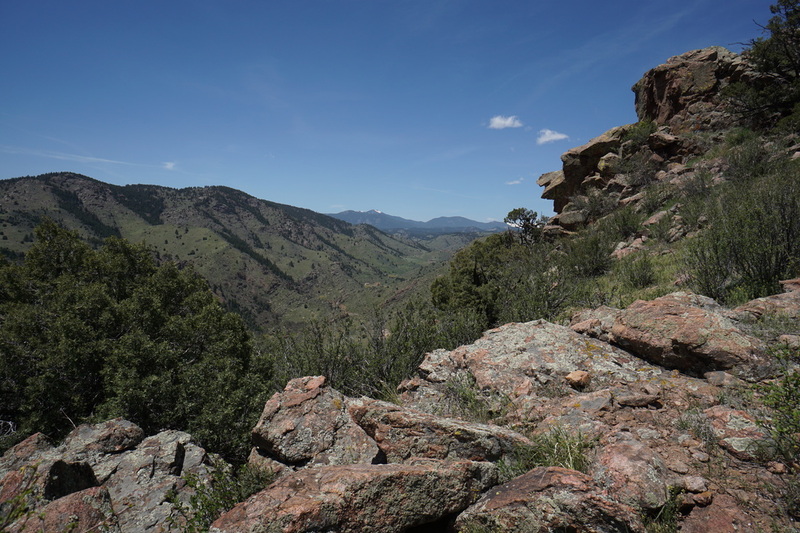 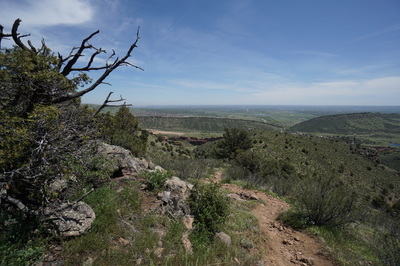 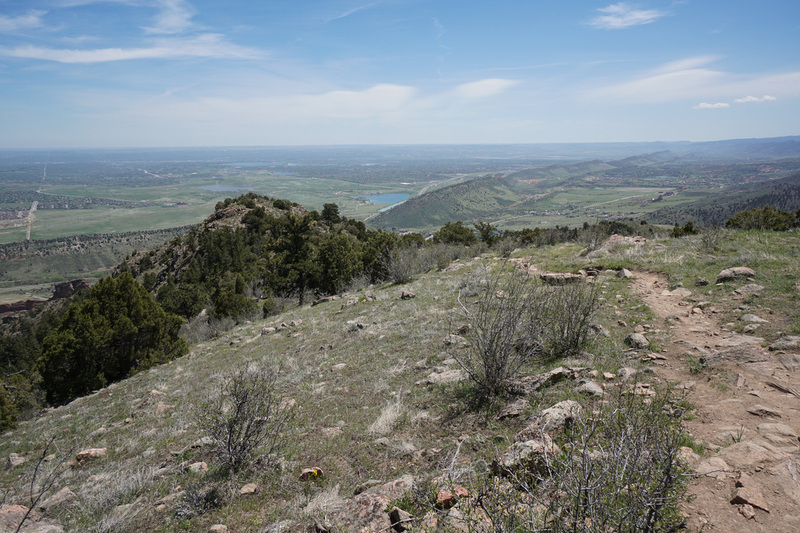 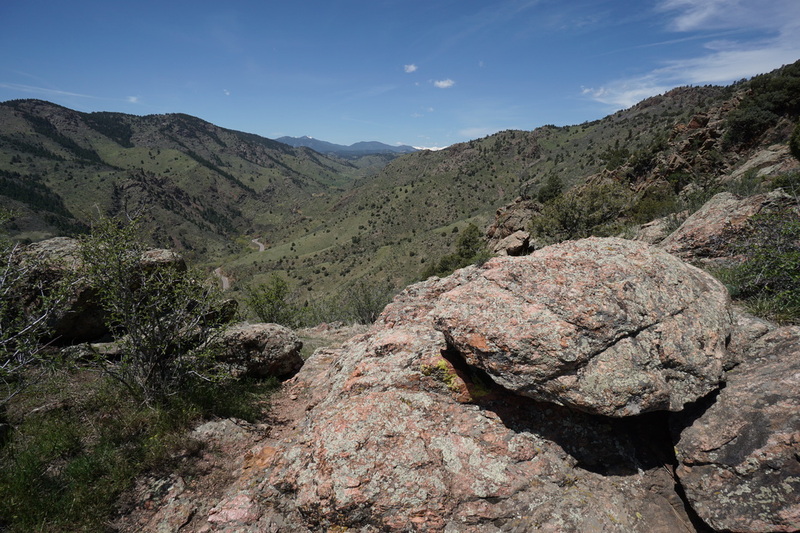 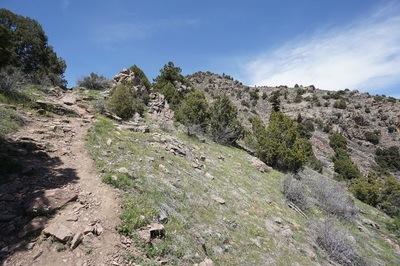 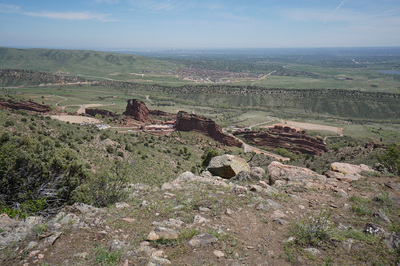 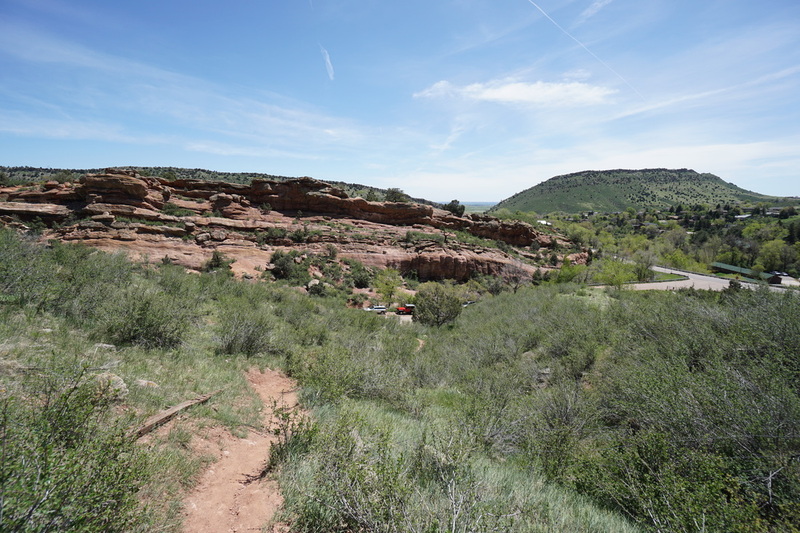 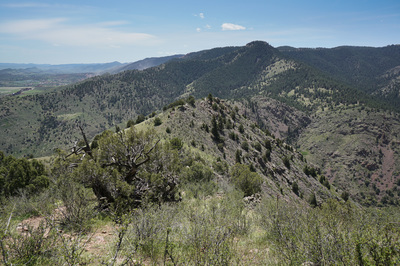 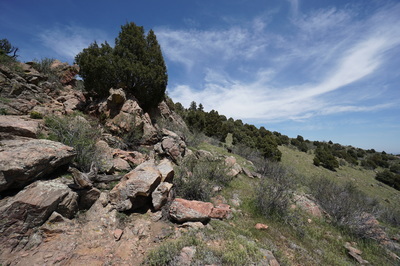 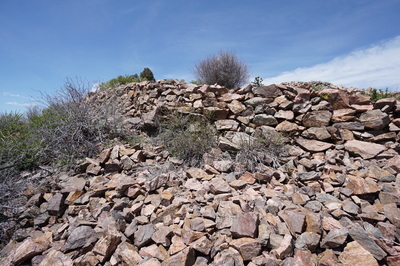 You won't find the trail listed on the official Red Rocks Park trail map and there are no real trail signs. 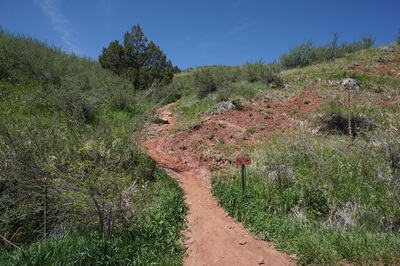 However, the trailhead is marked, the trail is in great shape, and it is completely legal to hike here. 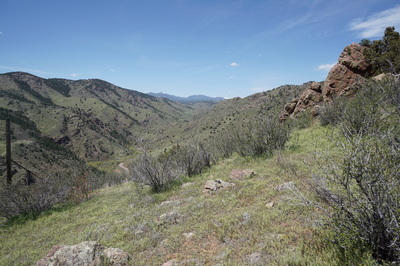 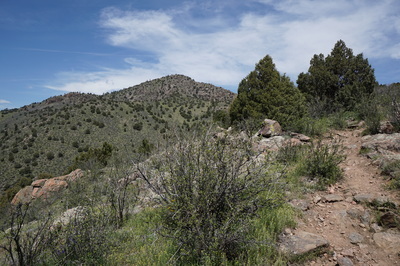 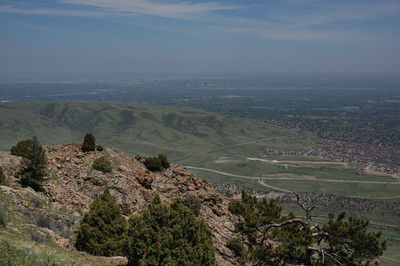 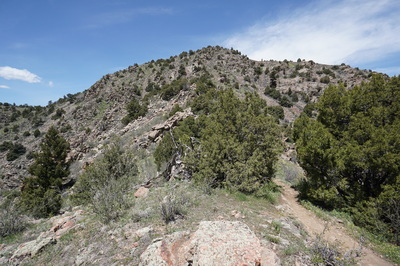 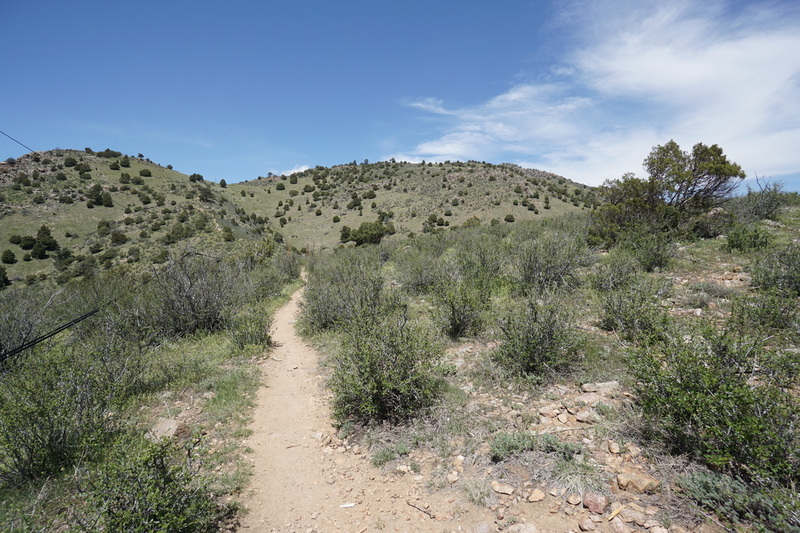 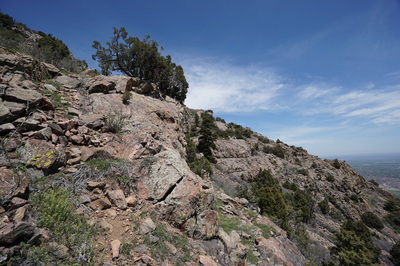 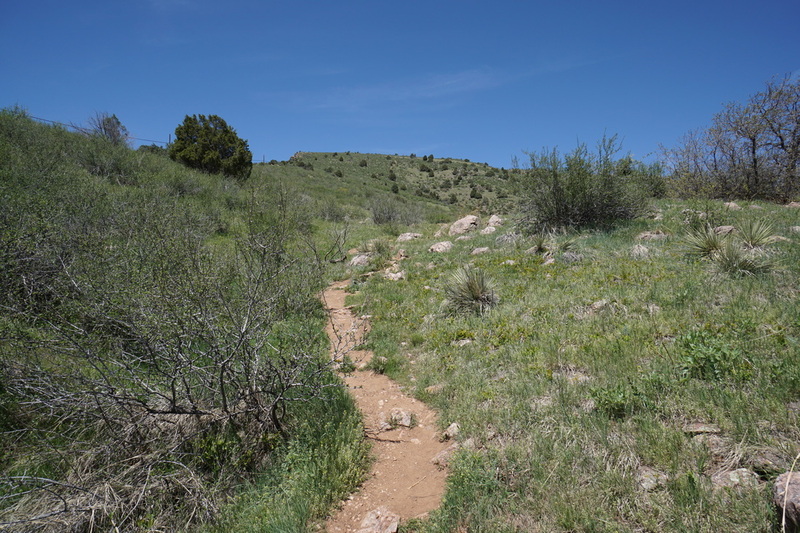 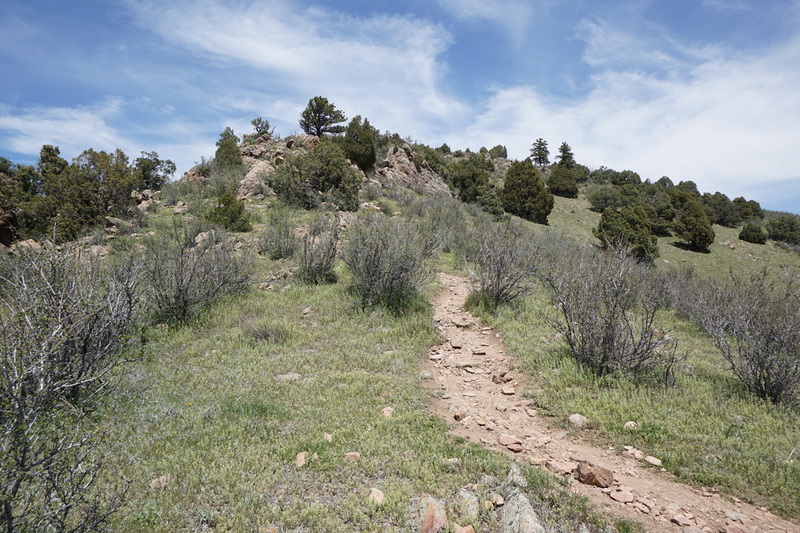 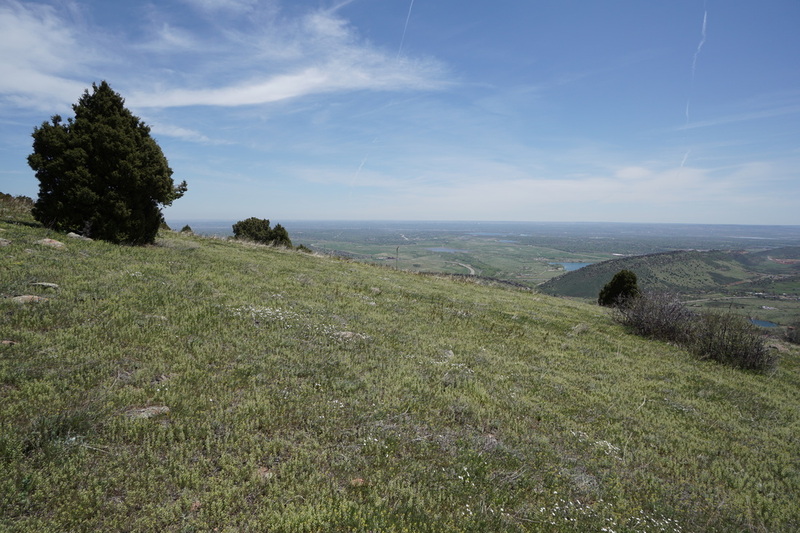 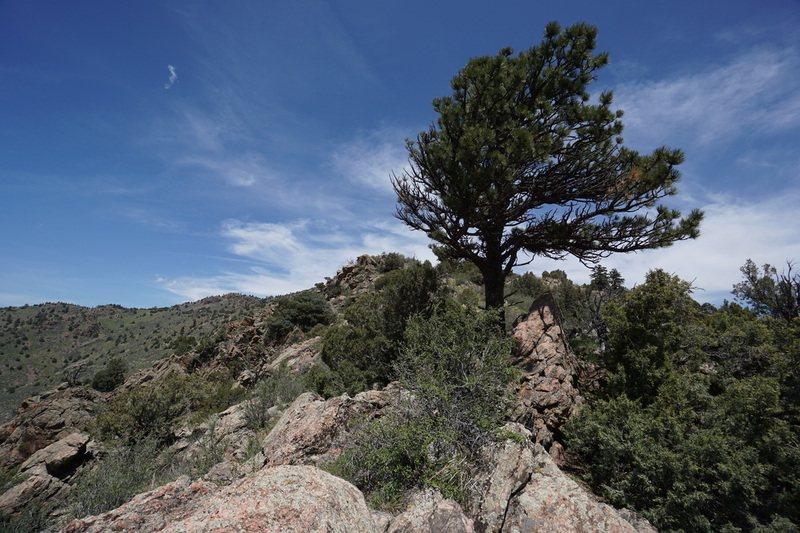 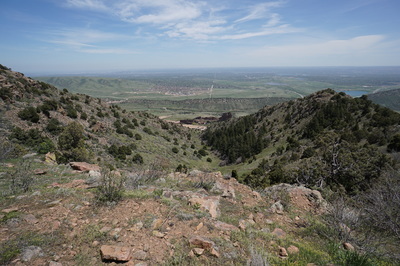 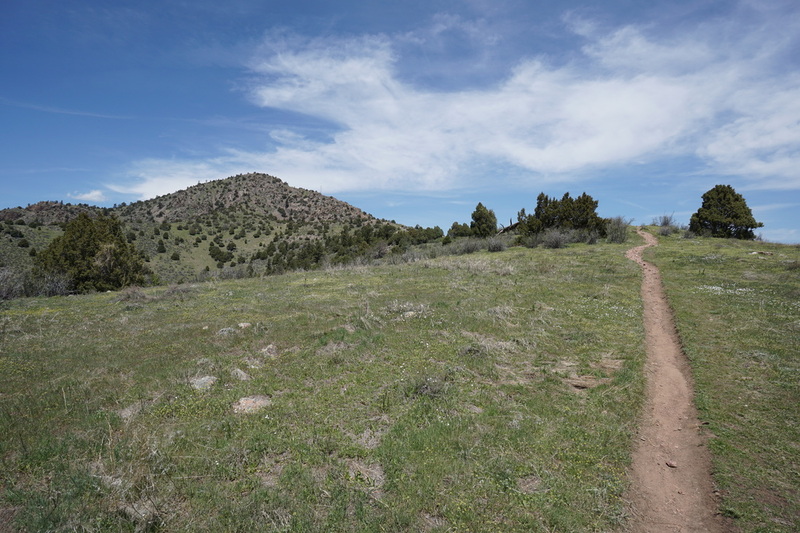 If you hike here on the weekends when the weather is nice you surely won't be alone but compared to the other trails in the park and surrounding open space areas like Mt. 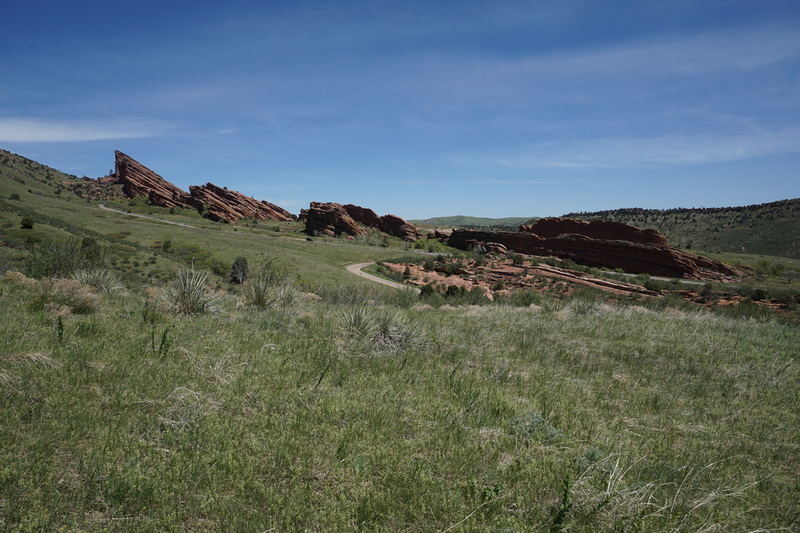 Falcon, the crowds are minimal. 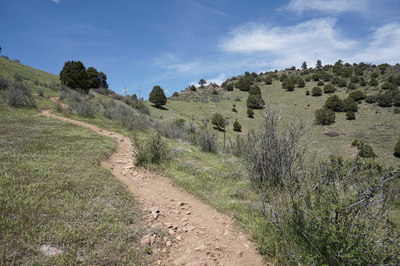 From the trailhead, marked by just a sign indicating no mountain bikes or horses, the trail starts heading straight up the slopes. You follow some power lines for a while as the steep grade takes you up to a fake ridge summit, down a bit, then up to the actual ridge summit. 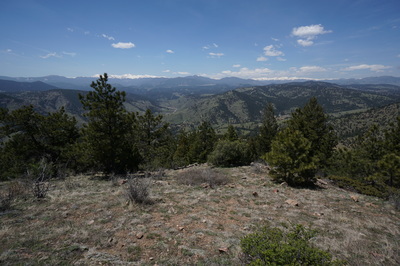 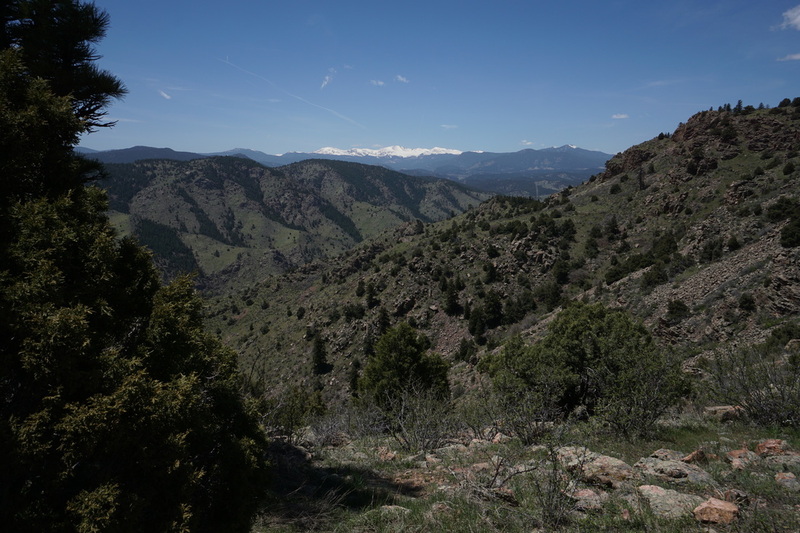 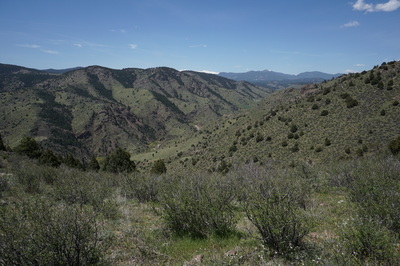 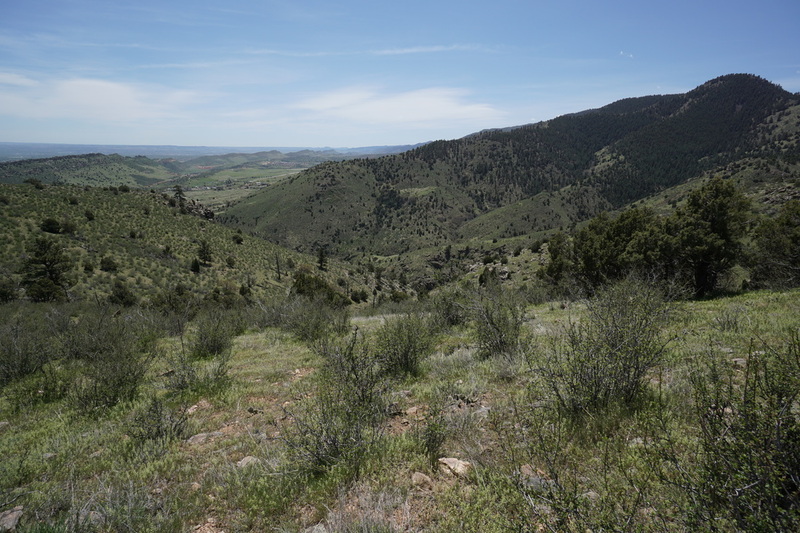 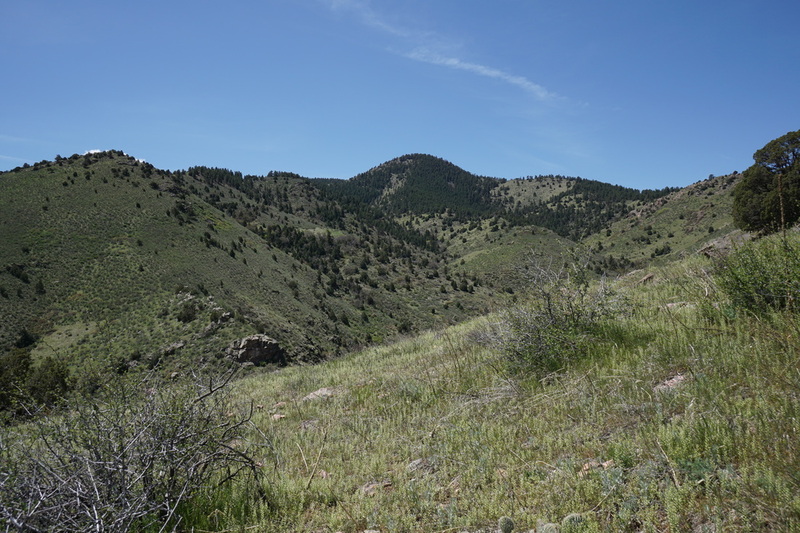 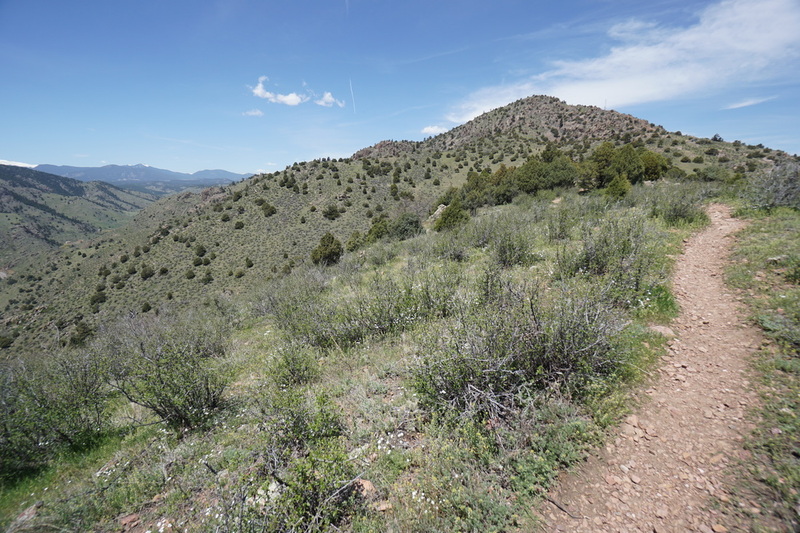 The trail then turns to the north and eases up a little as you walk along the open meadow of the ridge and get your first glimpses of the rugged summit. 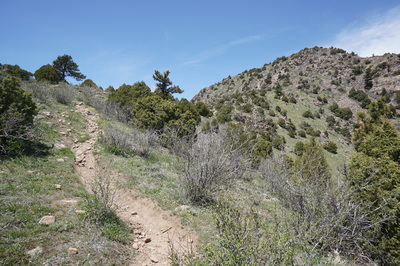 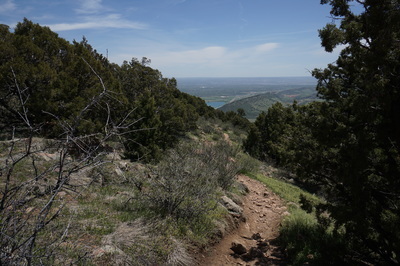 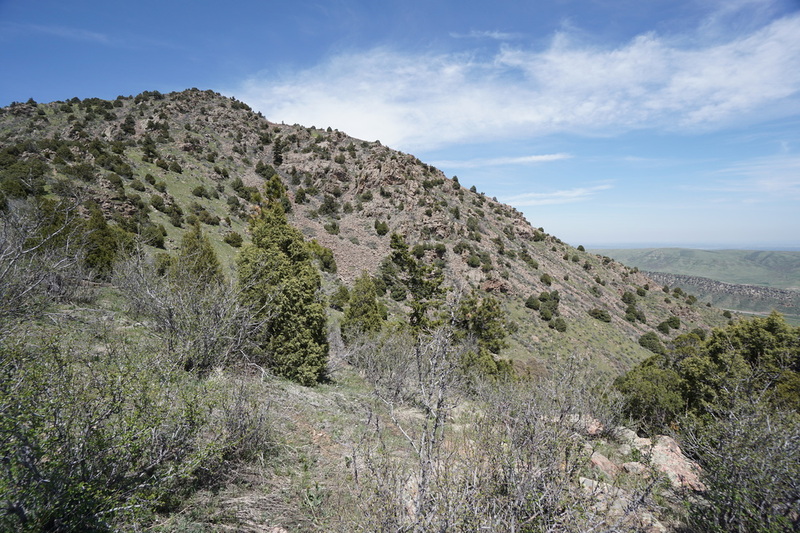 Once you've gained the ridge, the trail evens out through some shady pine groves before starting the final leg up to the summit. 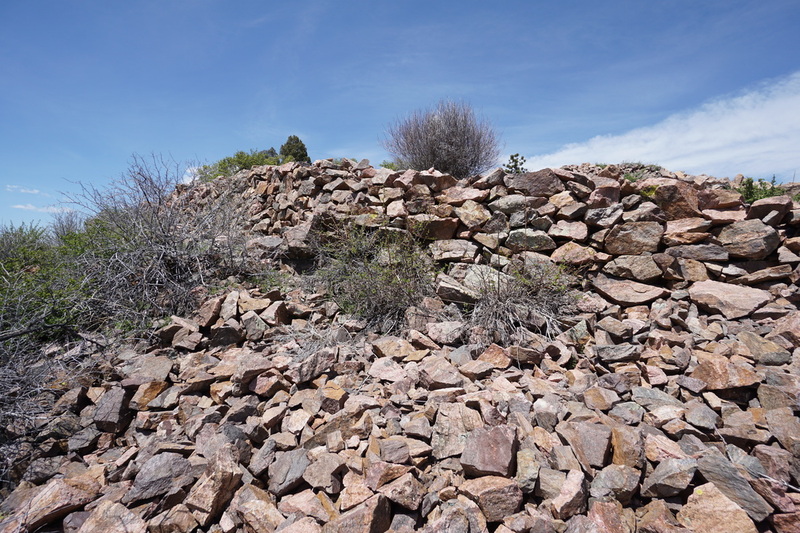 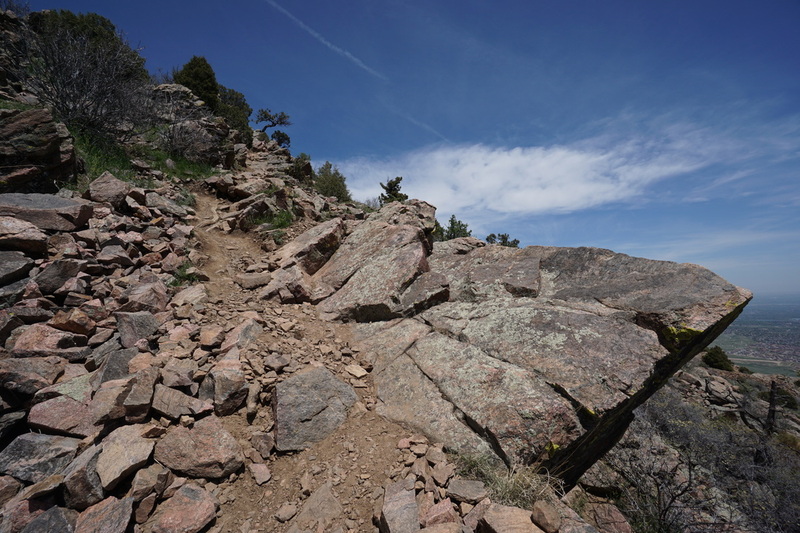 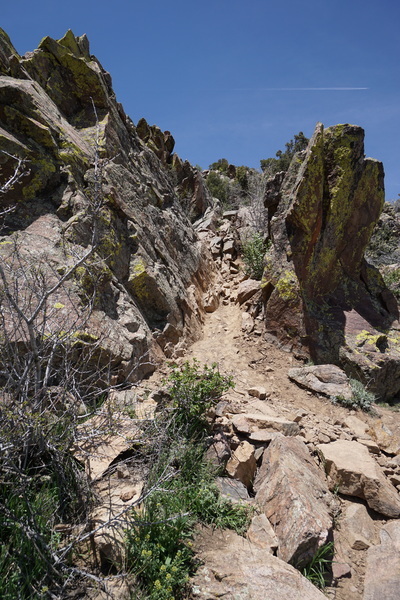 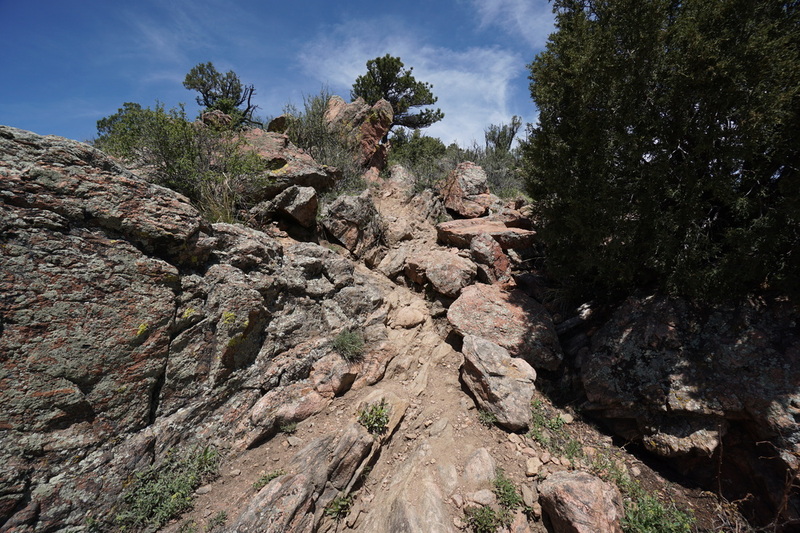 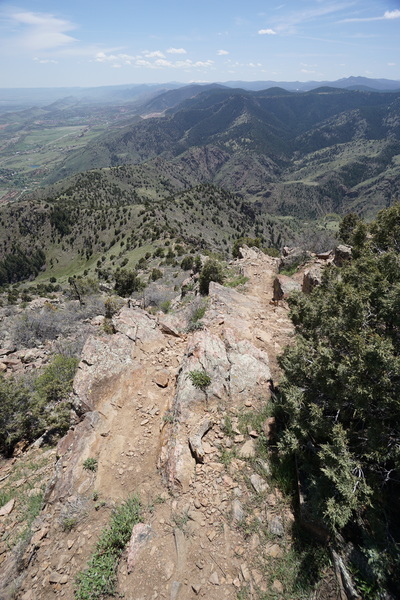 The entire hike is on well maintained trail, but the last push requires some route finding and easy scrambling up the rocky trail. 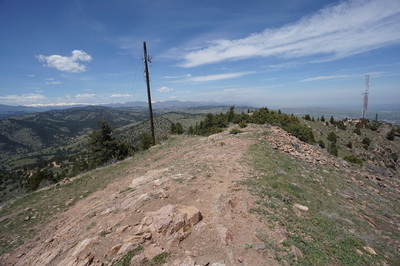 When you reach the summit you'll be greeted by the panoramic view and some cell phone towers that are off limits. 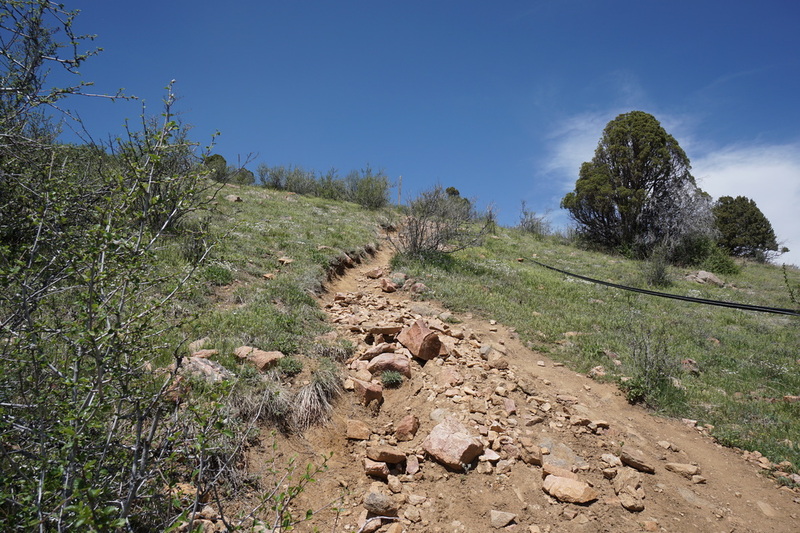 It is pretty easy to find your way back down through the rocky section, then it's just 2,000 feet of steep downhill for the rest of the hike. 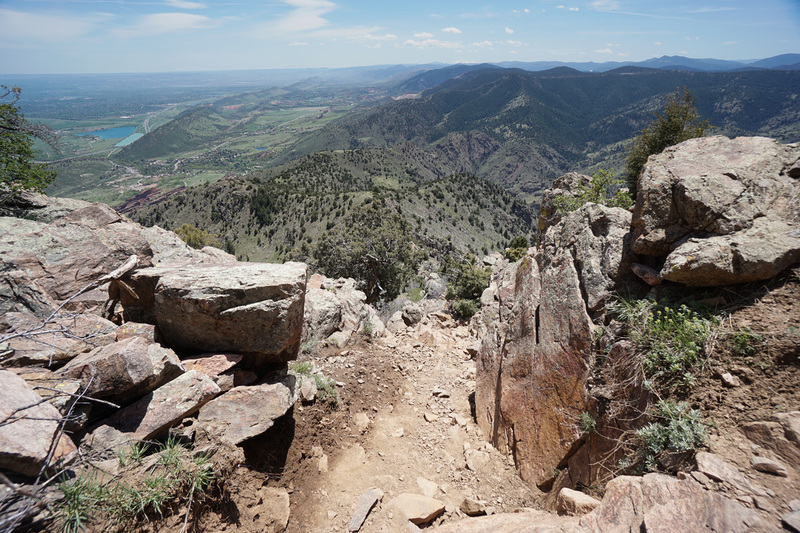 The views going down are just as grand and while punishing on your knees and feet, the descent is still a lot of fun. Bring plenty of water and just keep moving your legs and you'll be fine. 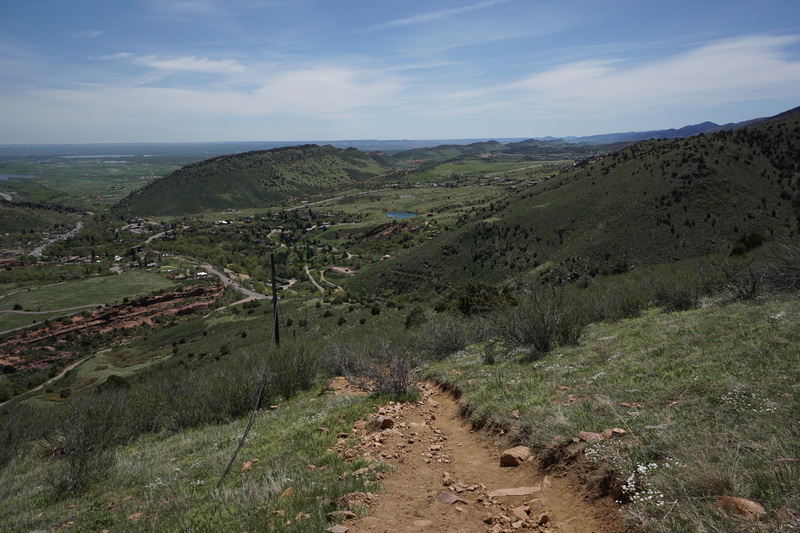 Considering how close this trail is to Denver, it really is one of a kind.